In the market for a high quality tipper truck for sale? FAW Trucks offers three highly reliable tipper trucks to choose from. With durability and quality on its side, choosing to invest in a FAW tipper for sale might the perfect option for you. 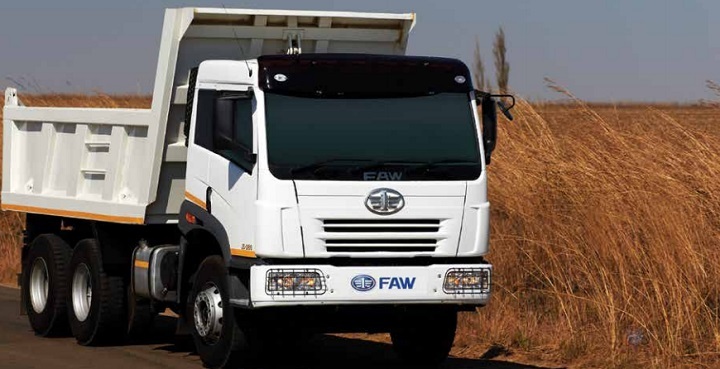 Today the Truck and Trailer team takes a closer look at not only FAW Trucks, but delves deeper into the FAW Tipper models available in South Africa. 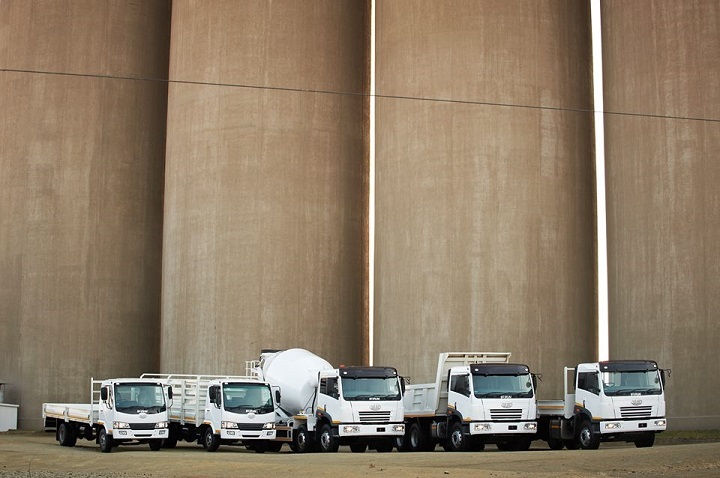 The FAW company has roots in China and has also been developed in South Africa to become a leading truck brand for all construction needs. Image Source: FAW South Africa Facebook Page. The Fortune 500 company is based in the Changchun Province and is the largest, and oldest, manufacturer in China. FAW can also be found in South Africa, and has been around for more than 20 years, thanks to strategic partnerships. The company has a strong reputation in the industry, having worked with the likes of Audi, Toyota and many more in joint ventures. 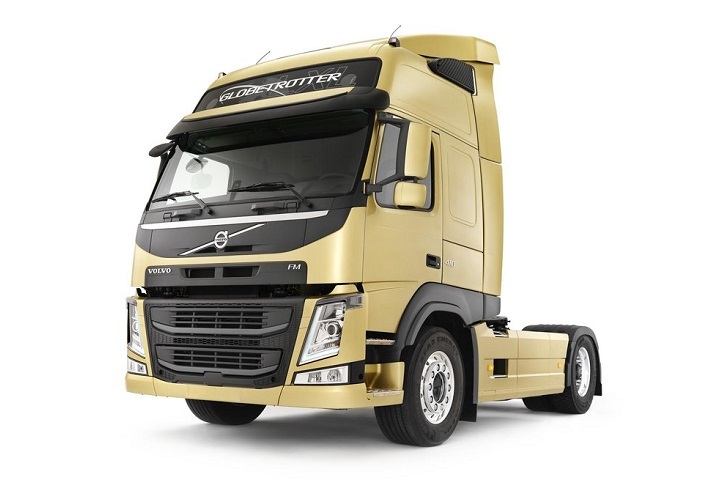 As for the quality of their truck ranges, they have a series of customised ranges to best fit the terrain and needs of the market, making it an affordable, reliable and trusted brand. These range of FAW trucks for sale include mixers, tippers, freight trucks and more. 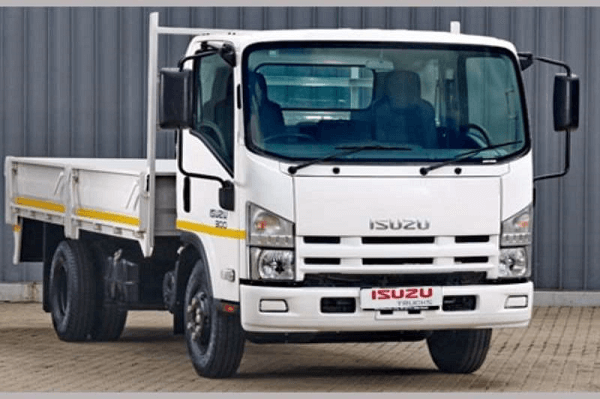 Are you interested in a tipper truck for sale and want to know more? 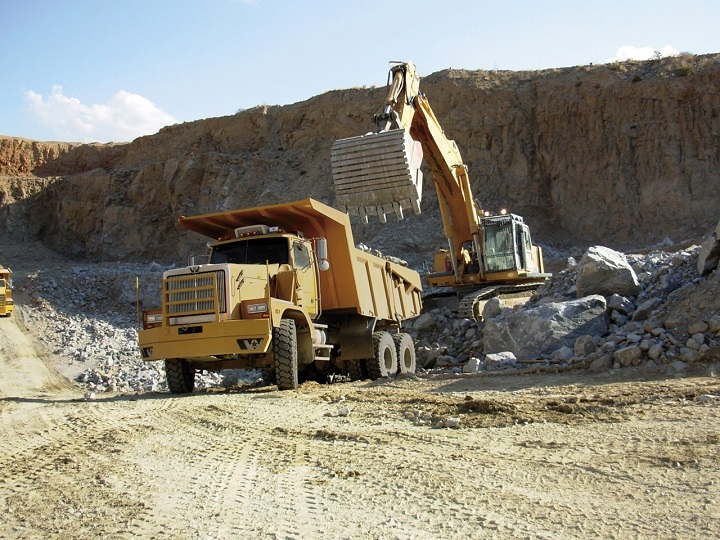 Tipper, or dump trucks are used for hauling a range of construction material, as well as rocks, earth, gravel and sand. They can also be used in mining and other industries, depending on the truck capacity and load size. They typically feature a hinged, open bed, which allows the materials to be tipped, or dumped, giving it its name. 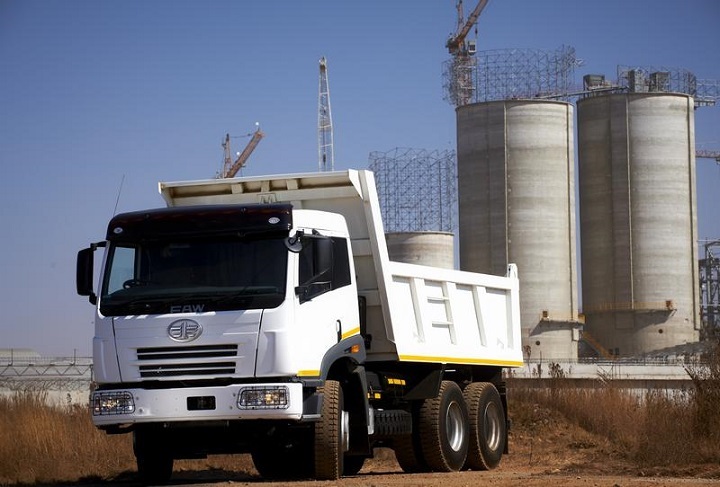 Tipper trucks are useful for off road and rough terrain, across a host of situations. 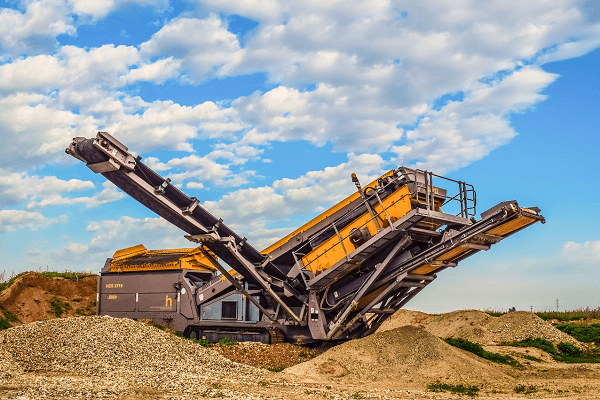 They are beneficial for all those in the construction and mining industry as they allow for heavy-duty work to be carried out with minimal effort. The range of FAW tipper trucks are ideal for heavy-duty and extra heavy-duty work. The 16.240FD, 28.280FD, 35.340FD models are popular and are used in a range of commercial work, from construction jobs and sites, to road works and more. The 16.240FD is a heavy-duty commercial FAW tipper that is ideal for a range of jobs across a range of industries. The 16.240FD Tipper features a large and spacious forward tilt cab, with space for the driver and a passenger. You’ll also find extras including the semi sleeper with aircon, USB, radio and a suspension seat to make each and every job a comfortable one. The engine is a FAW CA6DF2-24, 6 cylinder that is in line, turbo charged, water cooled and intercooled. It’s capacity is 7 127 cm3 and it has a Euro II Emissions Standard. The power output of these FAW tipper trucks are 177Kw and the 890 Nm torque develops at 1 400r/mi. All this allows it to keep a steady pace, even while facing hills and other terrain, while the power output allows for maximum fuel efficiency. Image Source: FAW South Africa Website. As for the performance, the 35.340FD FAW Tipper has a geared road speed of 120 km/h and 50% gradeability at V Max, ensuring it performs well in a host of situations. The steering is power assisted, with a gear ratio of 20.5:1 and helps on tough terrain and job sites. The gearbox is a Fast Gear 8 JS 118 TC – B, 8 Speed Range Change and features a Reverse Ratio of 9.28, as well as Forward Ratios of 9.38. The clutch is a single plate and hydraulic-air assisted and features a diameter of 430mm, which allows it to be easy to use, in various terrain. These model FAW trucks for sale are equipped with 200 litre fuel tanks, allowing it be used on various sites and jobs. The braking system is a full air, dual circuit and feature rear booster, system spring brakes; allowing for control and consistency. Overall, the 16.240FD FAW Tipper is strong, great performing truck for a range of tipping needs. The 16.240FD goes for around R419,000.00, excluding VAT. Another reliable FAW tipper for sale, the 28.280FD is a heavy-duty commercial truck with a power output of 206Kw and the 1 160 Nm torque develops at 1 400 – 1 700r/mi. This means it can maintain its speed and power, no matter the terrain. 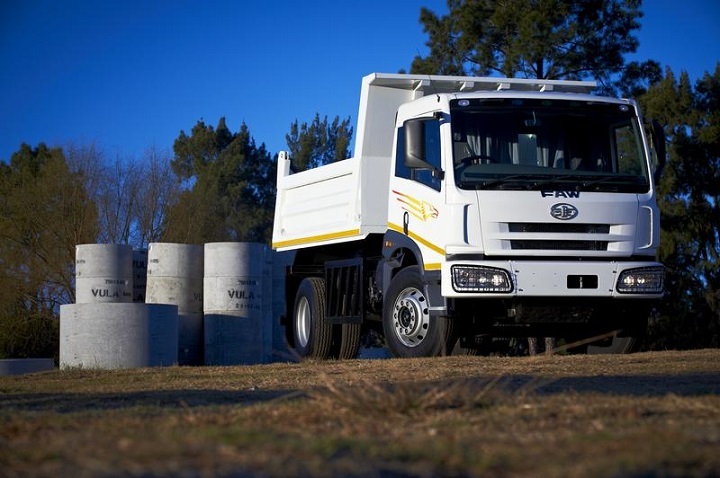 These FAW Trucks features a roomy forward tilt cab, with space for the driver and a passenger. You’ll also find extras including the semi sleeper with aircon, USB, radio and a suspension seat to make each and every drive more comfortable. The engine is a Weichai WD 615.50, 6 cylinder that is in line, turbo charged, water cooled and intercooled. It’s capacity is 9 726 cm3 and it has a Euro II Emissions Standard. 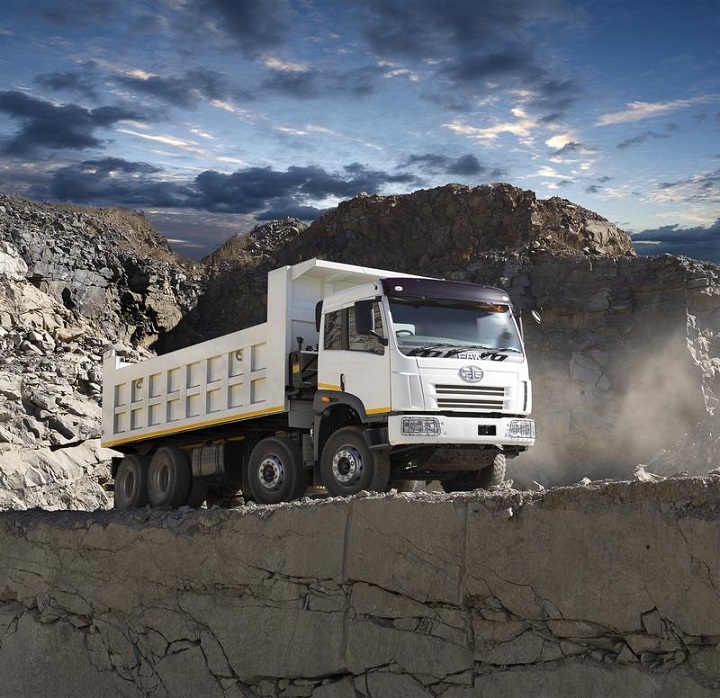 As for the performance, the 28.280FD FAW Tipper has a geared road speed of 93 km/h, and 36% gradeability at V Max, ensuring a powerful performance. The steering is power assisted, with a gear ratio of 20.48:1 and helps in any terrain. The gearbox is a FAW CA9T B160M, 9 Speed Manual Syncromesh and features a Reverse Ratio of 12.66, as well as Forward Ratios of 12.11. It also features a hi and lo range spilt. Making it smooth and easy to change. These model FAW tipper trucks for sale are equipped with a single plate, hydraulic-air assisted clutches with features that extend to include a diameter of 430mm, which allows it to be easy to use, in a host of terrain. The fuel tank has a capacity of 400 litres, allowing it to complete many jobs, and drive for hours on end. The braking system is a full air one and feature rear booster, system spring brakes. This allows for control and consistency. Overall, the 28.280FD FAW Tipper offers a strong, consistent and well performing experience. The heavy-duty truck is ideal for a host of situations and jobs. 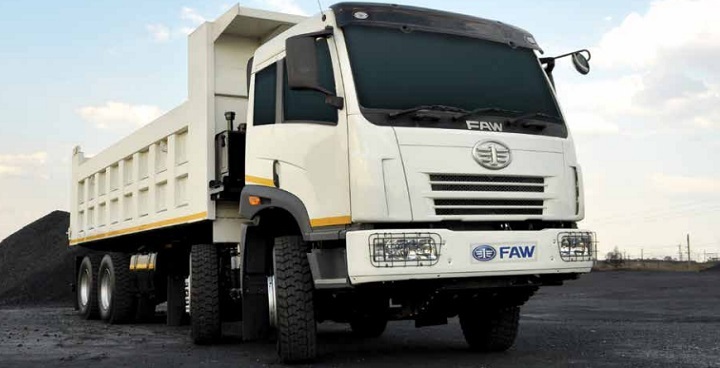 The 28.280FD FAW tipper for sale goes for around R 699,000.00, excluding VAT. The 35.340FD FAW tipper is an extra heavy-duty commercial tipper truck for sale. The 35.340FD FAW trucks for sale also features a large forward tilt cab, with space for the driver as well as a passenger. Extras include a semi sleeper with aircon, USB, radio and a suspension seat; ensuring all drivers are comfortable, however long the drive. The engine is a Weichai WD 615.69, 6 cylinder that is in line, turbo charged, water cooled and intercooled. Its capacity is 9 728 cm3 and it has a Euro II Emissions Standard. The power output of these FAW Trucks are 250Kw and the 1 350 Nm torque develops at 1 100 – 1 600 r/m. All this allows it to keep a steady pace, even while facing hills and other terrain, while the power output allows for maximum fuel efficiency. As for the performance, the 35.340FD FAW Tipper has a geared road speed of 93 km/h, and 36% gradeability at V Max, making it a powerful performer. As for the steering, it is power assisted, with a gear ratio of 20.48:1 and helps on the long hauls and tough terrain. The gearbox is a FAW CA9T B160M, Type 9 Speed Manual Syncromesh and features a Reverse Ratio of 12.66, as well as Forward Ratios of 12.11. It also features a hi and lo range spilt, making it smooth and easy to change. The clutch is a single plate and hydraulic-air assisted and features a diametre of 430mm, ensuring it can be used in various conditions. The fuel tank has a capacity of 400 litres, ensuring it can last for days on the road, or on the job. The braking system is a full air one and feature rear booster, system spring brakes. This allows for control and consistency. Overall, the 35.340FD FAW Tipper is a reliable, solid and consistent bet in the extra heavy-duty commercial segment. The 35.340FD FAW tipper for sale goes for around R 829,000.00, excluding VAT. While all three of the FAW tipper trucks have a certain likenesses, and can handle similar terrain, each is ideally suited to certain jobs. With a model designed for various applications, FAW tipper trucks for sale make for great industry solutions. Looking for a great deal on a FAW tipper for sale? Browse through the great deals listed on Truck and Trailer and find your dream tipper truck for sale today!